Every turn is a new start. 1997, Shantou JinLan Packing Machinery Factory was founded by chairman, Li Zhongrong, at the same time, the initial independently developed Semi-automatic Laminating Machine was granted by customers with solid reputation, from then, the times for JinLan Brand Laminating Machine was started. 2002, Chinese logo of “JinYuLan” was registered in the Trademark Office of State Administration of Industry and Commerce. And JinLan began to reform and replace the semi-mechanization with automatic products while focused on quality. There are more than 1000 sets equipment were sold successfully in that year. 2003, the initial “Hologram Images Transferring Production Line” was completed after R&D and delivered to customers(“Hologram Images Transferring Production Line” had obtained “Chinese excellent patent award”), it marked that JinYuLan officially started the development direction of technology and equipment innovation. 2005, JinLan completed industrial and commercial modification, and renamed: Shantou JinYuLan Packing Machinery CO., Ltd.
2006, JinYuLan obtained the registration certificate for custom declaration then started the abroad market. 2007, JinYuLan divided the products into two different types: Traditional post-press equipment and Innovation technology post-press equipment and started production in the new plant. And JinYuLan passed the authentication of “ISO9001: 2000 Quality Management System”, got the certificate of “Private Science and Technology Enterprise of Shantou CIty” and won the title of “2007 High-tech Enterprise of Guangdong Province”. 2008, the first “Combination of Printed Surface Value Added Process of Cold Foil Stamping and Holographic Images Transfer”(Multi-function Foil Stamping Machine) was developed successfully and was exhibited in Drupa 2008 and sold to Spain directly from Germany, it’s a great affirmation to us once again. In the same year, the “IMA” was led and co-founded by JinYuLan and the other six capacity light industry equipment manufacturers to form a production chain of packing machinery. 2009, according to the statistics,our independent R & D UVY Series hologram images transferring machine make up more than 95% share of the domestic market.“Shantou Specialty Printing Equipment Engineering Technology R&D Center ” was approved to set up. And JinYuLan passed the authentication of “National High-tech Enterprise”, and won the title of “big taxpayer”. 2010, JinYuLan upgraded the company level from city to province, then changed the name to “Guangdong Magnolia Packing Machinery Co., Ltd ”. In the same year, Guangdong Magnolia passed the authentication of “ISO14001: 2004 Environmental Management System”. 2010,〝Shantou Magnolia Special Printing Equipment Manufacturing Co., Ltd” was established(The subsidiary company of Guangdong Magnolia Packing Machinery CO., Ltd.). 2011, Shantou Magnolia obtains the use right for 34000 square meters industrial land in West Side of D2 Unit, Haojiang Distrial, Taiwan-invested Industrial Area Shantou City, Guangdong, China. 2011, English trademark “MAGNOLIA”, Chinese trademark “JinYuLan” and logo images of Guangdong Magnolia had been successful registered in Hong Kong Special Administrative Region. 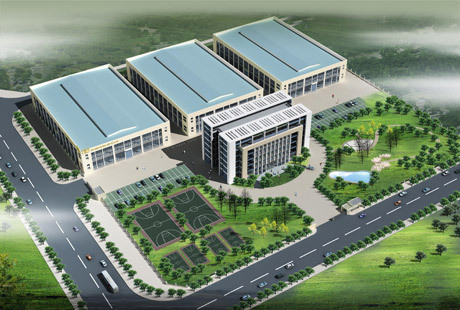 2014, the new plant of Shantou Magnolia was completed and put into production in Haojiang district, Shantou city. 2014, Guangdong Magnolia signed R&D equipment agreements with “Shantou Dongfeng Printing CO., Ltd.” and “Brilliant Circle Holdings International Limited”, formally began the marketing mode to provide customers the mechanical equipment, and one stand professional solution according to customers special demands. 2015, our PM Series Ink-jet Platform and LH-90 Full Automatic Stereo Clamshell Folding And Gluing Production Line were developed and manufactured successfully which is tailored for customers, and gained the higher praises from customers.And Magnolia passed the authentication of “National High-tech Enterprise”again. 2016，Guangdong Magnolia had led to make the industry standards of “sheet-fed Hologram Images Transferring Machine” and participated in making the industry standards of “The evaluation guide of energy-saving products”, “Paper Laminating Machine” and “Sheet-fed Embossing Machine” which had been approved implementation by the Ministry of Industry and China.